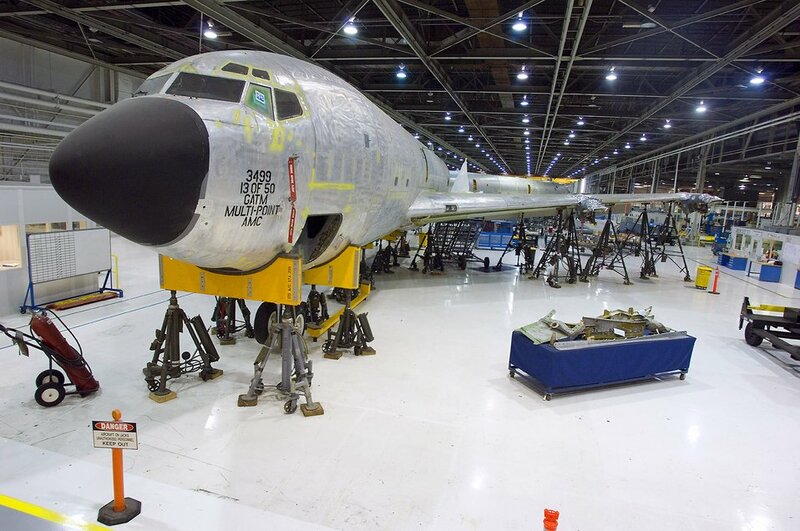 An aging KC-135R Stratotanker sits inside the Oklahoma Air Logistics Center, Okla., waiting for a full maintenance overhaul May 14. The Oklahoma Air Logistics Center is the worldwide manager for a wide range of aircraft, engines, missiles, software and avionics and accessories components. The center manages an inventory of 2,261 aircraft which include the B-1, B-2, B-52, C/KC-135, E-3, VC-25, VC-137 and 25 other contractor logistics support aircraft.